A couple of my friends were over at my place. I was very annoyed because I hadn’t seen them in a very long time, but they were too busy arguing to pay any attention to me. I went outside where I couldn’t hear them. 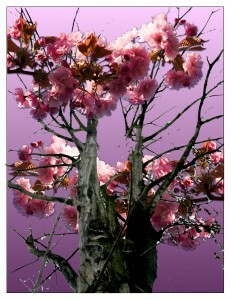 Outside was this gorgeous cherry tree (apparently it hadn’t been there before). It was surrounded by thousands of flowers. I went back inside and told my friends about it. They grudgingly came out to see it. They just looked at me like I was insane and ‘seeing things,” because they weren’t flowers – just a dead maple tree and dried leaves on the ground. I kept insisting that they were blind if they couldn’t see the flowers. One of them reached down and picked up one of the flowers. When she showed it to me, it was a dry, dead leaf, and the tree was wilted with bare branches. I just stared in disbelief, and they went back inside to continue bickering. I picked up one of the dead leaves and crushed it in my hand. 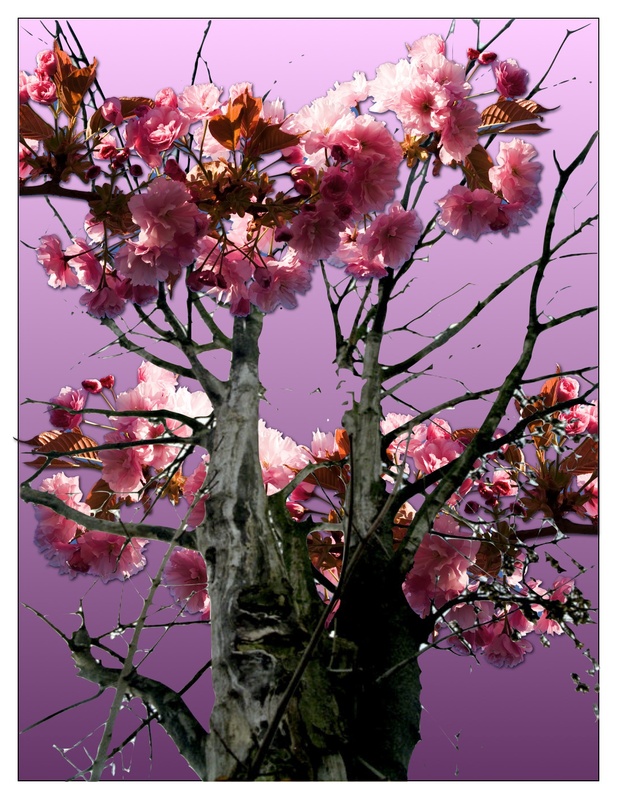 The pieces turned into flower petals, and when I looked back at the tree, it was covered in flowers again. I sat down under the tree and fell asleep. I woke up, sitting under a Cherry tree in my ‘real’ dreamworld’ ( It’s always the same place), wondering if I was dreaming about two people I’d never met in my life. Someone came up to me and told me to get up, because there was an enemy they couldn’t handle, and they needed me to take care of it.